We would like to make you aware of an upcoming event held by Western Institute for the Deaf and Hard of Hearing. Details below! Join us for our Free Hearing Health Fair on Wednesday May 28th, 2014. Come on out to learn about hearing aids, wireless devices, communication strategies, and tinnitus. 1) Keynote Speaker: Gael Hannan, Hearing Loss Consultant and Advocate (www.gaelhannan.com ). 5) Tinnitus and Treatment Options: Sandra Baker, Audiologist and Manager, Tri-cities Office, WIDHH. Also free hearing screenings and an Exhibit Hall, featuring hearing aid manufacturers and services providers for the senior community. At the end of the fair, we will also hold a special Q&A Session as follow-up to the recent CHHA Forum on Cost of Hearing Aids. Morning Coffee and Light Lunch provided. Pre-registration encouraged. Please email info@widhh.com with number of guests attending. Fully hearing accessible (sign language interpreting, real-time captioning, assistive devices). For more info, please email gshyng@widhh.com. We hope to see you there! DEADLINE EXTENSION for the YAN leadership retreat!! We are extending the leadership retreat application deadline to 12 midnight PST on Sunday, April 6th, 2014. The leadership retreat will take place from the evening of Wednesday, May 21st to the evening of Thursday, May 22nd, followed by the CHHA National conference from May 22nd – May 24th. The theme will be “Leaders of Tomorrow“, and the focus will be upon leadership and employment. Please send your applications to rosalindho@gmail.com by 12 midnight on April 6th, 2014. Applications will be accepted on a first-come, first-served basis. Hotel accommodations (double occupancy), retreat costs, and a dinner out will be covered for the duration of the retreat and CHHA National conference. Participants are responsible for your own travel costs and the CHHA National conference registration fee (http://www.chha.ca/conference/registration2.php). ** Travel subsidies are available from some CHHA Branches/Chapters. Please contact me at rosalindho@gmail.com to find out more! See attached poster and application form for further details. If you have any questions, please email me at rosalindho@gmail.com. 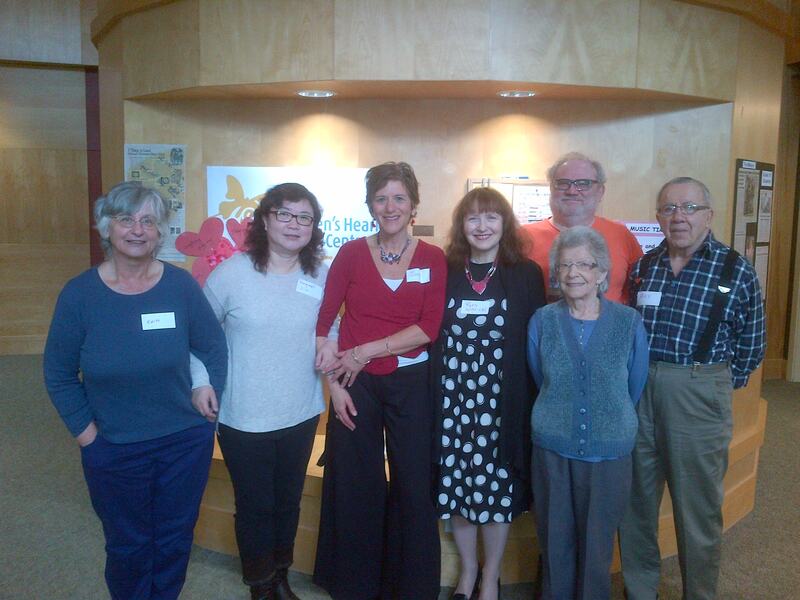 CHHA Vancouver Members enjoyed a visit with Children’s Hearing and Speech Centre of BC on Valentine’s Day, Feb. 14, 2014. The Canadian Hard of Hearing Association – BC Chapter, Vancouver Branch and other branches is planning a public forum about hearing aid costs and services to be held in Vancouver on Saturday, April 26, 2014, 1 pm to 4 pm, at Alice McKay Room, Vancouver Public Library Square and Conference Centre, 350 W. Georgia, Street. Parking is $1.75 per hour. There will be a multidisciplinary panel of representatives, including a hard of hearing consumer, a hearing aid dispenser, a manufacturer of hearing aids, a BC Government politician, and the registrar of the College of Speech and Hearing health Professionals. In preparation for this public forum, we are asking for your help. Please complete this short survey on consumer concerns about hearing aids and services by clicking here. If you have a story to share, please email to us at info@chha-bc.org with attention of Hearing Aid Forum Committee.